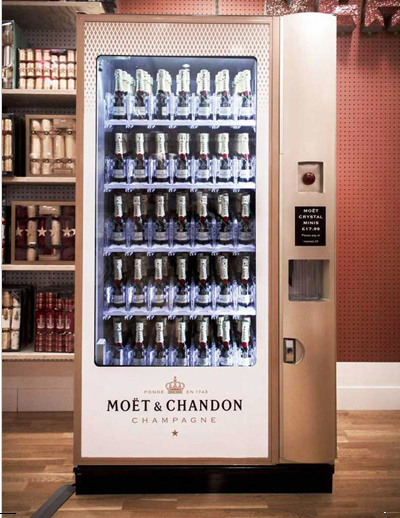 Moët & Chandon focuses on novelty with a Champagne vending machine. But when they fall through the machine does it make the champagne foam up? Take that Yeo Valley — UK young farmer pics that are NSFW. It's for charity, of course. Drinks to Get You Through a Marathon Meal — and that work all season long.